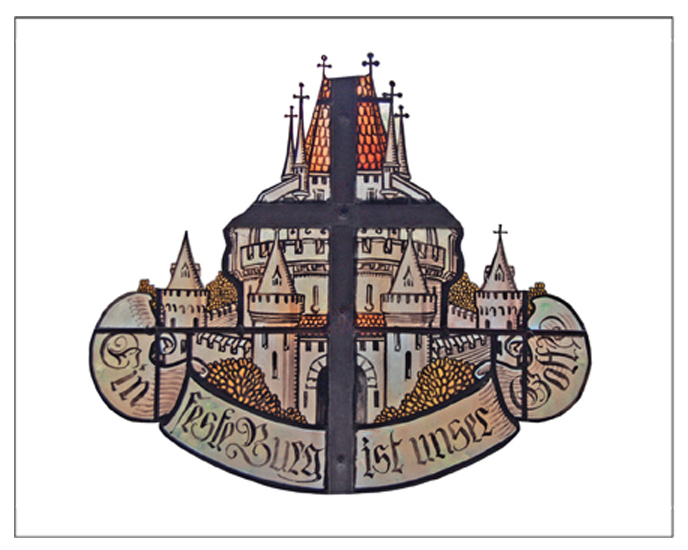 This “Mighty Fortress” card features stained glass from a village church in Zwingenberg, Germany. The cover proclaims “Ein’ feste Burg ist unser Gott” (A mighty fortress is our God). Luther’s hymn of the same name is based on Psalm 46, which is referenced in the inside text: God is our refuge and strength, a very present help in trouble. Psalm 46:1.